The Hawaii Group is home to more the 1,100 employees with a total of 75 locations operating on Oahu, Kauai, Maui, Molokai, and Big Island. We continue to grow year over year and have two top 25 airports, along with many neighborhood and resort locations. Here, we promote from within, developing our employees to top-level positions within our group and our company. In 2018, we are looking to continue to develop our newest business line – Truck Rental. 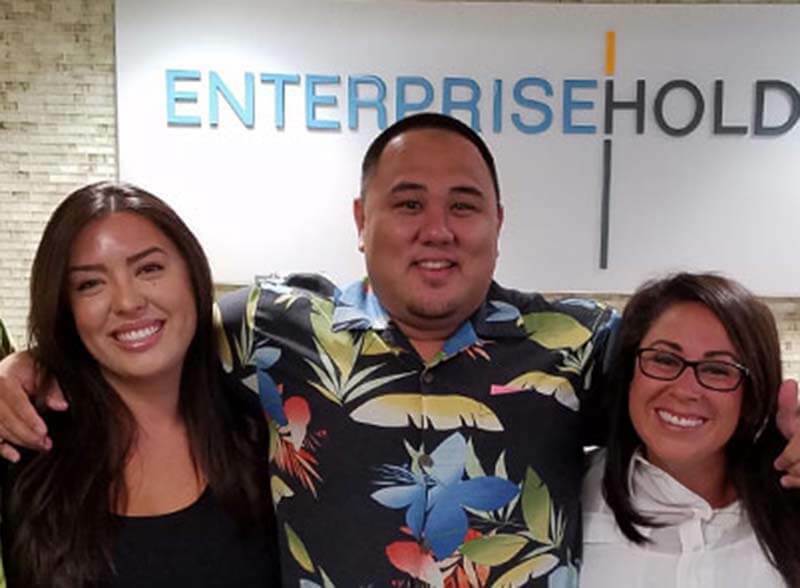 We continue to look for the best and brightest to join our teams at our Enterprise, Alamo and National branches throughout Hawaii. Our Hawaii Group operations span across the following islands: Oahu, Maui, the Big Island, Kauai and Molokai.